The mosses have their golden time – the forest is sparse, the forest floor vegetation gets moisture and the little daylight that there is for free. 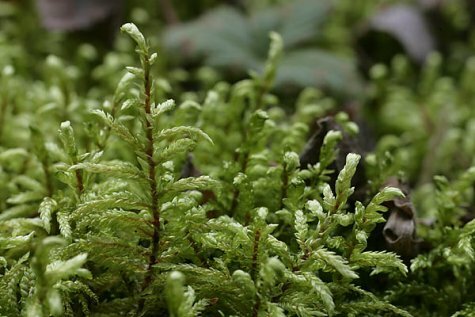 The feather moss is probably the best known and most often encountered Estonian moss species. When damp the stem of feather moss is dark red, reminding of a little spruce with "branch“ tips that taper off; it is a vigorous, slightly glossy plant. The dry boreo-nemoral forest, palumets in Estonian, has its Estonian name from palukas, another name for the lingonberry or cowberry, Vaccinium vitis-idaea. “Palumetsad” are dry and light pine forests with a medium humid soil – such forests make up nearly 10% of our forest area. In addition to the already mentioned characteristics they are also rich in fungi. 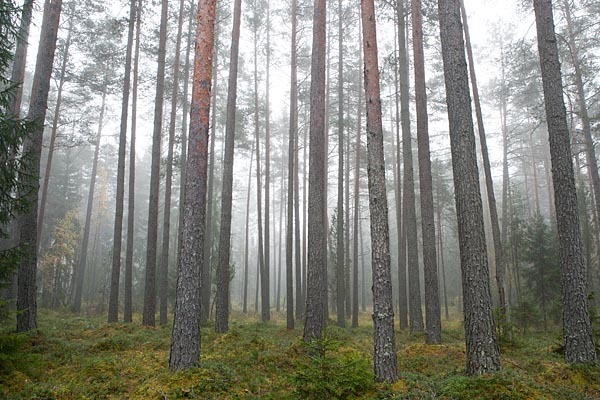 The tree layer or canopy of these forests consists of common pine, spruce and silver birch. The shrub layer contains rowan, juniper, raspberry ... The herbaceous layer has lingonberries, bilberries and heather. The grass layer is poor in species and now withered.